Unique Travel Bucket List Ideas for an EPIC Experience! I recently got certified as an Advanced Open Water diver in Sri Lanka. It was a long pending bucket list item of mine which felt like it was taking forever! But when it finally happened, I just wished I had done it sooner, and more importantly explored more of this fascinating underwater world. Ticking off my bucket list dive, made me curious to find out what bucket list ideas have my fellow travelers ticked off their list. So, I approached a group of travel bloggers requesting them to share their favorite bucket list experiences. 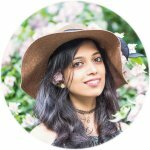 I was looking for some unique bucket list ideas, something that makes traveling even more enticing! And here, you’ll find plenty as I received over 45 amazing entries! Putting together this post definitely inflated my bucket list, and so will yours! Ranging from experiences from volunteering to skydiving, I’m sure there’s something here that’ll suit your appetite! Watching stalactites and stalagmites in a UNESCO underground river in the Philippines. Contributed by Ketki Sharangpani from Dotted Globe (Find her blog on Instagram). The Dead Sea is actually an inland lake located in the Middle East and bordered by Israel to the west and Jordan to the east. The salt concentration of Dead Sea is so high, around 34%, that the human body becomes very buoyant and floats on the water. Floating in the Dead Sea had been on my bucket list since I learned about the existence of the water so saline that it’s impossible to sink in it. So we naturally added it to our road trip itinerary when we spent a week in Jordan. Access to the Dead Sea in Jordan is through resorts located in the Sweimah region. This area includes some of the top-rated spa resorts in the world including Movenpick, Marriott, Holiday Inn and others. We chose to spend a couple of days in the area and used the resort beach to access the Dead Sea. Floating in the Dead Sea was an incredibly unique experience. We just had to lay on our backs and relax and we floated on the surface. It was impossible to swim or dive in the water because of the high salinity. We added to our experience by applying and covering ourselves with the Dead Sea mud which is available to use for free on the beach. The Dead Sea mud has many healing properties due to the high concentration of minerals. We definitely felt more refreshed after the mud bath. And the Dead Sea experience was one of the highlights of our Jordan trip. Contributed by Ben from The Sabbatical Guide (Check him out on Instagram). To be honest, learning to dive wasn’t really on my bucket list, but it was well and truly on my wife’s! On our three month sabbatical in Southeast Asia, I decided to book a three-day open water course for the both of us, to celebrate our wedding anniversary. And it turned out to be the most memorable experience of the entire trip. Despite a fear of deep water and a weak swimming stroke, the three days went by without any incident on my part! Day one was in the pool – learning to use the kit, what to do in an emergency and some more basics. Day two took us out in the ocean for two incredible dives. We both started each of the first two days in a bit of panic. The initial drop under the water is unnerving, and its easy for your body to fight this unnatural situation. But soon a calmness comes over you as you float off through the water. On day three we did two more dives, which we really started to enjoy. And after an hour-long theory test, we were qualified divers! This experience opened up a whole new world for us. Our planet’s surface is over 70% water, so to really be able to see it, you need to get under the waves. The feeling of weightlessness, vibrant colors, strange noise and unusual creatures left us truly awestruck. And determined to incorporate diving into our future travels. Contributed by Lisa from Flip Flop Globetrotters (Find her blog on Facebook). During our 10 months travel adventure in South East Asia with our 2-year old we rented a scooter almost everywhere we stayed and always really enjoyed our scooter rides. Our little boy that I carried in the back carrier, even on the scooter, always got a lot of attention. We met a lot of backpackers that traveled part or even all of Vietnam on a scooter or motorbike. And we really wished we’d done that before we had kids. Somehow traveling from A to B on a scooter, with all our luggage and our little boy seemed a bridge too far. Turns out neither is an issue with the Easy Rider tours! The Vietnamese Easy Riders, around since the early 90’s, derived their name from the 70’s bikers movie Easy Rider with Peter Fonda and Dennis Hopper. There are lots of small Easy Rider offices in Vietnam and of course, they all claim to be the original. We booked with Easy Rider Travel in Nha Trang and felt it really didn’t matter too much if they’re the original, as long as they were good at what they did. So we did a 5-hour motorcycle trip from Nha Trang to Dalat with our toddler and it truly was a bucket list experience for us. The wind in our hair, the freedom. Doing a longer trip like this on a proper motorcycle had been on our bucket list for years, but we thought for sure we’d never do it anymore after we had kids. Daddy behind the wheel and mommy as a passenger with our little boy in the back carrier and lots of luggage strapped to the bike, it was fantastic. Looking back it probably wasn’t the most responsible decision we ever made, but it was a wonderful experience. And all three of us enjoyed it tremendously! Contributed by April Blaszak from The Unending Journey (Find her blog on Instagram). While flipping through an in-flight magazine, an article about the caves of Phong Nha National Park in central Vietnam caught my eye. The Caves. The jungle. It all looked like another world. In an instant, it made my bucket list. And, experiencing Phong Nha first hand far surpassed anything I could imagine. It turned out to be one of the most challenging and wondrous adventures in my travels. Hiking in the jungle. Warding off leeches. Fording rivers. Sleeping in a cave. This is just the beginning of what makes a trek to Hang En Cave a bucket list experience. Why Hang En? It’s the third largest cave in the world, and what a cave! It has its own river flowing through it, a beach, fossils, unique rock formations, and views so unbelievable that you question what you’re seeing with your own eyes. Such beauty cannot be real. Along the two-day hike, you will get wet as you endlessly ford rivers. The untouched jungle feels as if you’ve been transported back to the time of dinosaurs. And, once in the cave, you’ve truly entered another world. The first glimpse of the cave’s interior from high above knocks you over. It’s impossible to fathom the size of the cave. And, what you see is only a part of it! A scramble up the rocks in the back lead you further into the darkness and wonder of Hang En. Tours to Hang En, are exclusive with Oxalis. They take exceptional care of you ensuring that the journey is memorable for all the right reasons. During the wet season, the cave is closed due to extreme flooding. Tours run from mid- December to August. Contributed by Abby from Winged Fork (Find her blog on Facebook). I stayed in an igloo in India. More emphasis. I STAYED IN AN IGLOO IN INDIA! Whoever thought that would be possible? But I did. The first igloos in India built by a master skier. Where, you ask? In Manali, the Sethan Valley near the Hamta Pass. Our camp leaders Vikas and Tashi started building these igloos 2 years ago after years of training. They hiked us down the hill into a valley that was covered with snow that evening. At the bottom of the valley were the igloos. It was still early winter when we got there, so there were just two – one for the 3 guys and one for the 2 girls. The other igloos were still being built and Tashi gave us an igloo building lesson the next day. The entire stay was amazing, starting with dinner around a campfire, followed by songs and stories. We made friends with another couple who was staying in a tent in the same camp. The next morning we were woken by the guides bringing us the local ajwain tea in bed. Follow by a breakfast of parathas and learning to ski in the snow. The best part was waking up that morning to see the snow above me with the sunlight trickling through. My igloo stay in Manali, India was definitely one for the bucket list. Aside from night swims in the Mediterranean and sunsets in Cappadocia, one of my favorite destinations is Chopta, a region in the Himalayas. This was one of the most incredible items I’ve crossed off my bucket list, a visit I’d likely repeat in the future. My friend and I biked deep into the Himalayas during a week-long getaway. After dropping our motorcycle off at a village leading to the Chandrashila Peak, we took on an exhausting, yet breathtaking hike towards the mountaintop. 4,000 meters above sea-level, the 4-hour trek offered a panoramic view of the Himalaya ranges. At 4 am the next day, we began another hike towards the peak. There was an utter calmness that extended across the mountains, an unexplainable peace that contrasted our heavy breathing. Then, the sky began brightening up. Beams of sun rays started bouncing off the summit, projecting an expanding warm pink tone an arm’s reach away. We sat on the ice-cold earth, unable to move from such a sight. It was glorious! Contributed by Penny from Globe Trove (Find her blog on Facebook). If you have ever been to the Maldives, you will know what I mean when I say that the water is pristine. This makes snorkeling in this country really something that you must add to your bucket list. The Maldives comprises of a number of different atolls and islands. We spent our time snorkeling in Addu Atoll and it literally blew our socks off! You see, I’ve been hydrophobic for a long time. It has taken me a long while to overcome it. One of the reasons is because I’ve learned that the world that exists below the water is so calm and peaceful. It is also very beautiful. The Maldives is one of those places that makes you glad that you overcame your phobia. One thing that you must keep in mind is that each island is different. Most of them have a reef that surrounds them. This means that the rise and fall of the tide can affect the coastal depth significantly. Currents are another factor that you need to keep in mind. The best way to ensure that you know the safest and best places to snorkel in is by contacting the local dive centers. They usually keep track of the tides and have a detailed knowledge of the coastline. Remember to try and go snorkeling with a buddy. You never know when you may need help! Contributed by Lavinia from Continent Hop (Find her on Instagram). The Philippines surprised me as no other country has ever before. When I started looking at unusual experiences, there were numerous ones that were equally thrilling and worth adding to my wish-list. One of them was located in Palawan, the Puerto Princesa underground river. Only a few people were allowed per day as it was a UNESCO World Heritage site. It was an underground river that was recently discovered and not easy to get to. Once we were at the national park, we were then taken by a speedboat to an island. After reaching the island, we then had to walk to get to the entrance of the cave through a small forest. Tiny boats holding not more than 5-7 people entered the cave at a time. The cave was pitch dark and the guide had a flashlight to show us the formations in the cave. There were beautiful formations created due to stalactites and stalagmites inside the cave. Some looked like vegetables, and others like animals. There was even a tiny island inside the cave, which had a formation that looked like a church. People were not allowed to step on to the island due to the presence of bats there. A surreal and utterly unique wonder, one needs to visit to believe for themselves, which is only open during the summer months, details are updated frequently depending on the weather hence one would need to check availability and pre-book to confirm spots. Contributed by Marie from Be Marie Korea (Find her blog on Instagram). The Andong Mask Festival is a yearly 10-day festival which happens at the start of autumn and during Chuseok (Korean Thanksgiving). Andong is often referred to as the cultural capital of South Korea due to its rich history which comes from the Andong Hahoe Hanok Village and the Mask Dance Festival. The festival dates back to the 16th century and was originally used to chase away evil spirits from the Hahoe Village. Only later in time, the festival turned into an occasion where the commoners could make fun of higher ranked officials and noblemen through their performances. The festival takes place on two locations, in downtown Andong and in the Hahoe Village which is located just outside Andong. During the festival, various performances and activities are held. Some of them include – the traditional Hahoe Byeolshin-gut Tal-nori (traditional performance with characters like the stepmother, the grandmother, the monk, an innocent girl, a wise Man and the drunkard) and Seonyu Julbul Nori (traditional fireworks). The Andong Hahoe Village is UNESCO Heritage and therefore a must bucket list experience, especially during the mask dance festival. Contributed by Jessica from Notes of Nomads (Find her blog on Instagram). As taking photos of the turtles is strictly prohibited when they come ashore at night, here’s a photo of the same beach during the day, in which you can see the fencing that is placed to protect visitors from trampling on the eggs. One of the most incredible bucket list experiences we have had was just last month was when we experienced seeing wild loggerhead turtles being born. This was on Nagatahama Beach on the UNESCO World Heritage island of Yakushima in Japan. In the North Pacific region, the endangered loggerhead turtle only lays its eggs in Japan. Half of those come to Yakushima, and of those, 90% come to Nagatahama beach. The beach is now protected and monitored thanks to various non-profit organizations and local volunteers who are working to conserve the species and boost egg laying in the area. In order to prevent disturbing the turtles or accidentally trampling on newborns heading to the ocean, the beach is closed to regular visitors at night from May to August. However, you can reserve a spot for observation. And if there is some activity, trained guides will take you to the beach, allowing you to quietly observe this amazing natural phenomenon. Seeing those tiny hatchlings making their way to the water for the first time is one of the most incredible things I have ever witnessed. Sea turtles come ashore to lay and bury their eggs usually, from late April to early August. And the eggs hatch from around early July to late September. Read the full post on things to do in Yakushima on her blog – Notes of Nomads. Contributed by Sylvia from Wapiti Travel (Find her blog on Facebook). Now that we visited Japan, I’m not quite sure what stopped us from visiting Japan sooner. Maybe the idea that it was expensive or it could be that we hadn’t read enough about the country to fully appreciate everything it has to offer. Looking back at our experience we’re glad that we finally made it to Japan and experienced the local Sakura-madness. Japan goes crazy during the Sakura season. Everywhere people go out to picnic under the cherry blossoms and take selfies between the cherry blossoms. It is the busiest time of the year in the parks. In some parks, you cannot even find a blade of grass in between the picnic blankets and several pop-up markets appear across the parks to celebrate this special occasion. The cherry blossoms start blooming around the middle of March in the south of Japan and gradually move upwards towards the north. They will roughly be in bloom for just 2 weeks. And the exact time period varies slightly every year. We planned our trip from Tokyo in the North to Nagasaki in the South. As such we were sure that somewhere along the way we would see the Sakura at its best. The Sakura was probably the highlight but it was also great to witness the Japanese culture, their hospitality, and their traditions. Read the full post on best Sakura spots in Japan on her blog Wapiti Travel. Contributed by Matilda from The Travel Sisters (Find her blog on Facebook). Attending a professional sumo wrestling tournament in Japan should definitely be high on any bucket list. Sumo is Japan’s national sport and it has a long history dating to ancient times. Professional sumo tournaments lasting 15 days each take place six times a year in four different cities in Japan. I attended a tournament at Ryogoku Kokugikan, the stadium in Tokyo which hosts three tournaments a year. Each day of the tournament is long starting with lower division wrestlers and building up to the top division as the day goes on. Most spectators show up in mid-afternoon just in time to watch the top-ranked wrestlers so if you go to the tournament early (which is what we did) the stadium is almost empty and you can move around and sit in a seat other than your assigned seat. Because we went early, we were able to move around and take photos and video without other spectators blocking our shots. Watching sumo wrestling was a fun and interesting cultural experience. The sport includes many traditions and rituals (in fact the actual wrestling part of a sumo match is very short) including ring entering ceremonies, singing, salt-tossing and foot stomping. Contributed by Monique from MC Adventure Blog (Find her blog on Instagram). In 2017, I was able to tick off an item that had been on my bucket list since I was a little girl: observing an orangutan in the wild in Borneo. This journey was one of the most memorable vacations of my life, and certainly the most immersive. We traveled by boat deep into the rainforest, staying at Sakau Rainforest Lodge, one of National Geographic’s most unique lodges of the world. We went out daily for two to three river trips, seated quietly in a tiny boat, hoping to catch a glimpse of any of Borneo’s amazing wildlife. Proboscis monkeys, kingfishers, owls, flying squirrels, crocodiles, and a range of other animals appeared and disappeared as we made our way along the river. Finally, we spotted one. A beautiful big male settled gently between the branches of a nearby tree. Quietly munching on some fruit, he seemed completely unfazed by our presence, or the fact that we had all waited so long to see him. There is something magical about the orangutan, and it was an absolute privilege to be able to observe them living a wild and free life. The experience really inspired me to get more involved in animal conservation, and I have since sponsored a little orangutan orphan at the Sepilok Rehabilitation Centre. And I hope to do as much as I can so that more of these creatures can be returned to their beautiful habitat. Read more about Orangutans and the fight against Palm oil in her blog MC Adventure Blog. In October 2016 my boyfriend and I decided to go to the Everest Base Camp Trek. It was our first trekking experience ever and one of the highlights of our year. The trek to Everest Base Camp was more beautiful than we had ever imagined. Incredible views that never seemed to end, stupas and mani stones on places you don’t expect and of course the breathtaking Himalayas covered in snow. It was also interesting to see the local life in the mountains and we ate lots and lots of dal bhat! We weren’t prepared that well for our trek, as we barely trained before we went and only bought our equipment the day before in Kathmandu. So it definitely didn’t exactly go as we wanted. Unfortunately, we both got some serious altitude sickness during our trek. But, luckily, we did manage to reach Everest Base Camp and tick this off our bucket list. It’s a once in a lifetime experience for us (although we do talk about visiting Nepal and doing another cool trek). And we can’t recommend it enough for other adventurers out there! Contributed by Marco from Monkey Rock World (Find his blog on Facebook). If you listen to Mr. Donald or your mom, you’ll never make it to Iran, and that will be the one single BIGGEST mistake in your life. Unless you are British or American (sorry guys, you can go anywhere, but not here at the moment), the land of misconceptions and serendipitous encounters is very happy to beckon. We have hitchhiked in Iran as a couple twice. Once in 2012, entering from Turkmenistan, and hitching all the way down to Shiraz, and then all the way up to Tabriz and the Turkish border. On our second trip in March 2017, we hitchhiked from Esfahan and through the less visited Western part of the country into Azerbaijan. Both times, it was an amazing experience that went well beyond the concept of hospitality. Iranians just love foreigners, and they love to practice their English. And when they cannot, they will still pick you up and speak in Farsi even if you don’t understand. In 99% of the cases, our drivers invited us to stay with them at the end of the day. Or, if we had to part ways in daylight hours, made sure we had sufficient bread/cheese/water to continue the hitch. Which, let me tell you, never had waiting times longer than a mere 20 minutes, and in the very more remote corners of the country. TIPS: Have an open mind, a cup for accepting tea, and an empty stomach. Sit the woman away from male drivers, especially in trucks, as this is not recommended and a real cultural no-no. For the rest, enjoy a million rides. Contributed by Cara Crawford from Crawford Creations (Find her blog on Instagram). Volunteering for a week at Elephant Nature Park in Chiang Mai, Thailand, was, without a doubt, the most epic bucket list experience I’ve ever had. As an animal lover, getting up close and personal with elephants was something I had wanted to do for a long time. And Thailand seemed to be the ideal place to fulfill that experience. But, elephant tourism is a touchy subject, as it’s often done at the expense of the elephants’ well being. The trick was to find a reputable place that put the elephants first and was committed to the rescue and conservation of the species. Enter Elephant Nature Park. Elephant Nature Park was founded by Lek Chialert and she now runs it with her husband Darick. Lek and Darick are both intensely passionate about protecting not just elephants, but all animals. Elephant Nature Park is a sanctuary for elephants, dogs, cats, buffalo, horses, birds, and even deer. As a volunteer, my day started with breakfast at 7:00 am followed by work from 8-10 am. Morning chores included cleaning the elephant enclosures and making food and feeding the elephants. After a long lunch break, we went back to work from 1-3 pm either cleaning up the park, cleaning water tanks, or going on an elephant walk, where we walked around the park and visited with all the different elephant groups learning about each elephant and their history. It was just such a great atmosphere to be in. St. Petersburg, Russia is one of those destinations you have to visit at least once in your life, preferably for more than a couple of days. The city is well-loved by all culture seekers and there are many things to do in St. Petersburg. But if there is one thing you can’t miss, it is watching the bridges of the Neva river as they part during the White Nights. Because of its Northern location, the city benefits from an unusually long light day and it doesn’t get pitch dark at all. The White nights last from the second week of June to the beginning of July and during this time people line up at the Neva embankments to enjoy the spectacle or join a night boat tour that passes underneath the giant bridges as they open. The most popular spot is the embankment next to the Palace bridge which offers amazing views of the Peter and Paul Fortress. Make sure to come in advance to get a chance to scout the perfect spot: you won’t be the only one who wants to enjoy those sights! Going on safari is an adventure that exists on many people’s bucket lists, and I was very glad to be able to tick it off while in South Africa last year. South Africa is one of the world’s best destinations for going on safari. And, of the many safari parks that are dotted around the country, Kruger is the most well-known of all of them. There are several ways to experience a safari at Kruger. One option is to stay at one of the main rest camps inside Kruger National Park and book game drives and bush walks through the park. The second is to book an all-inclusive stay at a game reserve in the greater Greater Kruger National Park. These game reserves are privately owned, more luxurious, and are set up to make everything easy for first-timers. Whichever you decide on, a trip to Kruger means that you can hopefully look forward to seeing the big five (elephant, rhinoceros, leopard, lion, and cape buffalo) as well as numerous other types of wildlife including zebras, wildebeests, cheetahs, hyenas, warthogs, impalas, springboks, and many more. It’s one of those once in a lifetime experiences that you hope you’ll get to experience a second time. Read What to Bring back from South Africa on Jame’s blog This Travel Guide. Flying in a hot air balloon was a major bucket list item for me for many years. And I was very happy to finally tick it off in Luxor, Egypt this year. In Luxor, hot air balloon flights are very popular especially for sunrise, since the landscape looks super beautiful. I was flying above the Valley of the Kings and Queens, saw some historic temples from the top. And it was impressive to see the lush, green Nile area right next to the dry and hot desert from the air. I was picked up very early by Magic Horizon – which I fully recommend – and we drove in the van to the balloon landing spot. After some preparations, the balloon took off right in time for the first daylight and the views and the overall experience was truly magical. The captain was very nice and explained a lot about Luxor as well as how he’s actually steering the balloon. Sometimes we went down for a bit and almost touched the ground and the flat house roofs, then we went up again and had a great view of the whole landscape. It was a lot of fun and after 45 minutes, we touched down right in the desert. I was a bit nervous since the landing is supposed to be the most difficult and dangerous part, but everything worked out well and it’s been a great and safe experience. Flying in a hot air balloon is an experience you should certainly have at some point! Contributed by Sion and Ben from Globetrotter Guys (Find their blog on Instagram). South Africa is known for cage diving. And as far as bucket list experiences go, this should be on everyone’s list. This is a surreal experience and it is not quite as scary as you may think. You will always be provided with a full briefing of what to do and everything is very straightforward. Once out to sea, the people running the trip will start throwing chum to help attract sharks. It’s surprisingly hard to attract them and they clearly do not want to stick around, so when you do get a chance to get in the cage, you better be quick. This is part of the reason why it ended up not being that scary, you could tell the sharks really were not that interested in you as much as you’re interested in them. The water is ice cold but you are fully suited up with wetsuit, mask, and gloves. When they give you the go ahead, you slide into the cage and hold on to the bar. We were very lucky and a huge 10-foot great white shark came close to the cage. The water was quite murky but you could make out the huge scale and size of the shark as it was only 1 meter from us! This quite literally took our breath away. The main place to do this in South Africa is Gansbaai. You will most likely book this from Cape Town or Hermanus and get an early morning shuttle to the boat. The cost is approximately $130 per person. We can’t recommend this enough, a truly exhilarating, once in a lifetime experience! During our visit to Victoria Falls in Zimbabwe, there was one experience that had been on my bucket list forever… A helicopter flight ride over Victoria Falls! This Flight of Angels is the most incredible way to experience Mosi-oa-Tunya – the original name given to the waterfall which means the Smoke That Thunders. From the sky you will gain a different perspective on why it carries that name, you’ll marvel at just how wide this waterfall is (the widest in the world), how magnificent the snaking Zambezi river is. And how powerful the earth is as you take in the huge zig-zagging crack in the earth that created the falls. If you’re lucky enough you might even spot a pod of hippos from the sky! Surely one of the most memorable experiences in Africa (although it’s a competitive list! ), a helicopter flip over Victoria Falls won’t come cheap. But if you value experiences over stuff then this is an experience of a lifetime that you don’t want to miss. Contributed by Meghan and David Mullen from Half This World Away (Find their blog on Facebook). 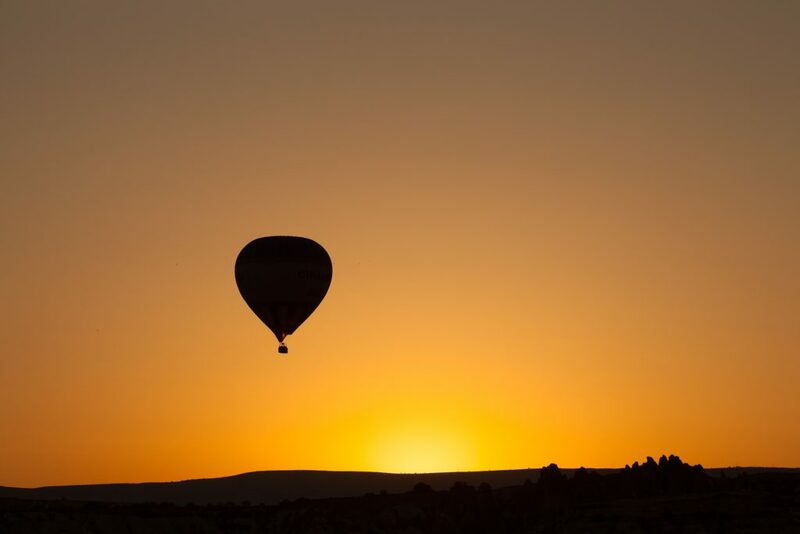 A huge bucket list item of ours was to take a ride in a hot air balloon; and there are fewer places more magical to do this than Kenya, Africa. For our honeymoon last year, we decided to embark on a once-in-a-lifetime adventure to Kenya. We wanted to go on a safari and we spent 4 days in the stunning Masai Mara National Park. Seeing wildlife up close is a surreal experience and it felt like we had fallen into a David Attenborough documentary. Our days were spent under the hot Kenyan sun watching zebras graze lazily on the dry grass and cheetahs chase down their prey. There was one activity, however, that made this trip extra special. As a wedding gift, we received a hot air balloon ride at sunrise over the Masai Mara. And the only word I can use to describe this experience is WOW! Hovering above the African plains watching the sunrise over this huge expanse is probably the most incredible thing we’ve ever done. Not only did we get to watch the animals from above, but we gained an appreciation for just how huge this region of Kenya is. The sky changed from a burning orange to a dusky pink before our eyes, and before we knew it, what felt like the whole of Africa was awake beneath us. As far as bucket list experiences go, this is definitely one we will never forget! Contributed by Nat Took from Natpacker (Find her blog on Twitter). Climbing Kilimanjaro had been on my bucket list for some time, and in 2015 I ticked this item off my list. I choose the Machame Route, which meant five days ascending and two days descending. This slightly longer route allows your body to adjust to the altitude better, as each day you climb high and sleep low. The first few days, the walk was easy and slow. The guides keep you at what feels like a snail’s pace so that you conserve your energy for the days ahead. As the days get harder, the guides keep your spirits up, encouraging you all the way. Summiting was obviously the most difficult part. We started at about 10 pm and spent the rest of the night climbing. The aim is to reach the summit for dawn. It was cold and dark, and the path was steep. The altitude hit me at some point on the way up and I literally just sat down. It was a terrible feeling. After I’d recovered the rest of the summiting still seemed to go on forever. Niagara Falls makes many people’s bucket lists, some consider it the 8th wonder of the world. For me, I didn’t want to just see Niagara Falls, I wanted to take a helicopter ride over it. Of course, you can see the Falls on several other more budget-friendly attractions like a boat tour, the Cave of the Winds, and Journey Behind the Falls, but I felt like flying over Niagara was something I just had to do. It would give me a better perspective of the Falls. I finally ticked it off my bucket list June 2017 with Niagara Helicopters. It was the perfect day to fly, a light wind and just a few clouds. You don’t need to book in advance, they operate on a first come first served basis. We got our tickets for the Classic Ride and stood in the short line. In less than 10 minutes, it was our turn. They took the obligatory photos and we boarded the helicopter. We were lucky to get the front seats. They strapped us in and we took off! Our Niagara Falls helicopter ride was only 12 minutes long, but the aerial view of the Whirlpool Rapids, Rainbow Bridge and of course Niagara Falls were spectacular. We enjoyed the taped audio narration which included some interesting facts about the area. The highlight was when the pilot circled over the Canadian Falls so that everyone in the helicopter got an amazing view. Our helicopter ride over Niagara Falls was a special experience that we will always remember. Contributed by Crystal Egan from Castaway With Crystal (Find her blog on Facebook). If you scuba dive or have ever thought about diving, then this is definitely a bucket list experience for you! When I found myself in Mexico in my travels I heard talk of some scuba diving unlike any other. Diving that takes you out of the ocean and into a whole new world underground. The Cenotes in Mexico are world famous among the cave diving community. The cenotes are a type of sinkhole that connects by underground caves. They were sacred to the ancient Mayan people who used them not only as a source of life but also as graveyards and a place of sacrifice. One cenote near Tulum, Pet Cemetary, has the preserved bones of an ancient camel easily viewable to divers. Another, El Pit, is 119 meters deep. There is a layer of gas that sits suspended at 40 meters with a single, giant tree branch snaking out of the mystical gas-line. This is a natural adventure park for divers of any level. There are open cenotes filled with colorful fish and mangroves where you can learn to dive, magical deep cavern dives for the more experienced and highly technical cave dives for the people who live and breath these types of adventures. The Yucatan in Mexico is the only place in the world where you can do this type of diving (or snorkeling, if you prefer) and the entire land mass is like a giant sponge just waiting for you to explore! Contributed by Sara from Our Kind of Crazy (Find her blog on Instagram). If you know anything about us over here at Our Kind of Crazy, you know we are all about the bucket list experiences. Last Summer, we were able to check off a bucket list item that I never knew was even on my bucket list, until I heard about it. I had the opportunity to drive a Lamborghini Huracán.. on a racetrack!! We were in Chicago for the Summer, and I heard Xtreme Xperience would be in a few towns over. And we could actually drive these awesome race cars for 3 laps around a racetrack in Illinois. I was so excited to see that we were able to drive a Lambo, and my fiancé drove a Porsche 911. Now, I’m not a huge car expert, but all I know is that car is FAST! We had a quick lesson and then we able to ride as a passenger in the lead car before heading out to drive ourselves. The lead car experience was actually one of my favorite parts of the day, and I definitely recommend booking that as well (or book it for yourself if you don’t want to drive and are out there with a friend). After three insanely fast laps around the track with a professional driver, it was my turn to take my sports car out and let it rip. It was one of the most exhilarating experiences of my life. Contributed by Alison Roberts-Tse from Up&AtEm Travel (Find her blog on Instagram ). Hiking a fourteener (14er) is a great travel bucket list item for nature enthusiasts and fitness fanatics alike. Although 14,000-foot mountains are scattered about throughout the USA in a handful of states, climbing one in the Rocky Mountain State of Colorado is especially poignant. As this is where Katharine Lee Bates penned the poem, “America, the Beautiful”, which became a touching, patriotic anthem when paired with music. Although the scenery above the tree line is rather barren and monotonous, when Bates merged through the tree line on Pikes Peak, she was overcome with the beauty of the surrounding nature. Although it is possible to drive up some fourteeners to enjoy the view, hiking up the mountain is a much greater physical achievement – and it will make the views much more rewarding. Plan to spend a whole day on the mountain and pack the essentials to successfully hike a 14er. Although you won’t want to carry too much weight in your pack, you can enjoy a little picnic at the summit, where you’ll feel like you’ve reached the top of the world. If you’re practically an Olympian, you can sprint in the famous Pikes Peak Ascent and Marathon. Otherwise, opt for an easier mountain trail, like the one found at Quandary Peak. However, the trailhead notes that there is no such thing as an easy fourteener! Contributed by Constance from The Adventures of a Panda Bear (Find her blog on Instagram). What’s more amazing than seeing 30 hot air balloons launch into the air? There is nothing quite like it and we were in awe the entire time! It was such a magical experience to see the entire process from start to finish – attaching the basket, unfolding the balloon, filling it the balloon, and the lift off! If you’re a morning bird and early riser, I highly recommend arriving as early as possible. You can get there before daybreak and see the propane gas burning brightly against the dark sky. To see this hot air balloon festival in Northern California, we went to the Hot Air Balloon Classic in Windsor, Sonoma County. The festival usually takes place annually in mid-June over a weekend (Saturday & Sunday). The best way to see the festival is to stay in the area the night before so that you can easily wake up at 4 am and make your way into the festival. There will be crowds and a ton of traffic but it is all worth it when you get to watch them set up, and see the first balloons launch at 6:30 am. Contributed by Dhara from It’s Not About the Miles (Find her blog on Instagram ). Every year, wildflower enthusiasts in California wait with bated breath to see if it will be a super bloom year: a year when wildflower bloom is a massive spectacle in many parts of the Golden State. So massive that sometimes the bloom is visible on satellite imagery from space! It all depends on how much rain falls during the preceding winter and early in the spring. Peak wildflower season begins in late February in the deserts of southern California and progresses to other areas and higher altitudes as the year rolls on. We were fortunate to be able to witness a superb look at the Carrizo Plain National Monument, a vast uninhabited plain that lies barren for much of the year and then bursts into life in the spring of a good bloom year. The plain is in southeastern San Luis Obispo County, a 3-hour drive from Los Angeles. We visited when reports on wildflower-tracking websites told us bloom would be at its peak; and boy, were they right! I’ve never seen so much color in Nature. As far as the eye could see, the earth was covered in yellow. Hillsides at the edge of the plain were clothed in huge swathes of color: yellow, orange, purple. It was an amazing sight. Lupine, poppies, California goldfield, phacelia and numerous other species contribute to the color here. There were thousands of other visitors at the site, all there to drink in the once-in-several-years spectacle, and to take tons of photographs. I am so grateful to have been able to witness this beautiful miracle of nature and to cross this experience off my bucket list! Contributed by Ruby Escalona from A Journey We Love (Find her blog on Pinterest). Skydiving has never really been a priority bucket list item of mine, so when I saw a Groupon for a discounted skydiving experience, I jumped on it: there isn’t any time like the present, right? And also, that was a good call to action on why I should do it. After all, I’m only going to be young once. The thing is, I had to go on that airplane twice: my first time, I was strapped, ready to go, and on the airplane, when a sudden turn in weather meant that they had to abort the jump, so when it was rescheduled, I had a moment to think if I’m really going to go through with it. Thank goodness I did because that experience has been one of the best in my life. The feeling of flying and free falling was fun, and I knew I’ll be safe with my tandem buddy. Havasu Falls is definitely one of those must-do bucket list places to visit in the United States. Once a hidden gem of the Grand Canyon in Arizona, Havasu Falls has quickly become one of the most popular hikes in the United States. It’s very competitive to get hiking permits to, so be sure to plan well in advance. People come from all over the United States in order to see the beautiful, crystal blue waters and the 5 amazing waterfalls along this iconic trail. The hike is roughly 25 miles long round trip if you hike all the way down to Beaver Falls which is the final waterfall of the hike, and you should plan to spend 3 days doing this hike. The hiking is relatively easy, but there are some tricky sections to the trail. The effort is worth it though! All 5 of the waterfalls along the trail are absolutely breathtaking and like nothing else you can see in the United States. Be sure to put the Havasu Falls hike high on your bucket list! You won’t regret it! In 2015 my daughter graduated from high school, and we decided to do a mother-daughter trip to the island of Oahu. I had been to this tropical oasis three times in the past. Each time I went, I would gaze in awe at the majestic Diamond Head Crater. Inside I had an intense yearning to climb the mountain but never made it up there on any of these trips. Once we arrived, we picked a day and went for it! My bucket list dream finally came true. It was a very strenuous and steep climb, and oh my so scorching hot! Ah, but the view up top was so worth the climb! When I reached the top of Diamond Head: I can’t even fully describe the euphoria we all felt. It was incredible to say the least! It was one of the most stunning sights I’ve ever laid eyes on. Even if you are not a seasoned hiker, it’s a doable trek. I don’t hike much at all, and was able to make it up without any problems. I highly recommend this beautiful experience. It’s one that will forever be with you. Contributed by Sherrie Fabrizi from Travel By A Sherrie Affair (Find her blog on Facebook). One of the most fun things about travel can be completing bucket list items. I think what can make it even more enjoyable is when you help your Mother check one off her list. My Mother had a small bucket list of travel that she wanted to complete with my Father, however, sadly my Father passed away before she could complete her list. So, all of her children, grandchildren, and great-grandchildren decided to fulfill one of her top dreams, the Canadian Rockies in the winter time. My Mother, I discovered has no real fear of doing anything! It was actually hard to keep up with her at times. As we made our way across the Canadian Rockies by starting in Vancouver , taking a train to Jasper and then continuing to Lake Louise and Banff. By the time we had gotten to Lake Louise she already had me crossing the Capilano Bridge and going on a glacier walk in Jasper (3 hours in 20-degree weather…burr..). Next up when we arrived at Lake Louise my daring Mother, wanted to try dogsledding. Did I mention she is 80 years old? What an experience, it was exhilarating to do! The trainers were very informative and made you feel totally comfortable. I was happy to see that they truly had a great affection for the dogs. Being a dog owner all my life, I can attest that these dogs were in fantastic shape and loved to run. The sites of tall, thick, dark evergreen trees with untouched snow piled on each branch was something out of a movie. I will return one day with my husband to experience it for himself. But for now, this is my Mother’s and my special bucket list item- checked off. Read the full post on her Lake Louise travel on her by blog Travel By a Sherrie Affair. Our overlanding journey from Canada to Panama in a renovated RV has certainly taken us to very exciting destinations in this past year. However, we believe no experience has been as epic as volcano hiking in Guatemala. Central America is famous for its vast array of volcanos, which even has its own name! The CAVA (Central America Volcanic Arc) goes all the way down from Guatemala to northern Panama. We knew, then, that we couldn’t visit this area without hiking one. Our pick was majestic Acatenango Volcano, which towers over 13,000 ft (almost 4,000 m) above sea level. Even though Acatenango is no longer active, his partner is: Volcan de Fuego (Fire Volcano) has eruptions every 15 to 20 minutes which you can enjoy front row once you get to the top. However, this is not an easy task: it will take you at least 6 to 7 hours of uphill struggle to reach the Acatenango campsite, which will be a test to your body, mind, and soul. Stops are scheduled every 20 to 30 minutes, proof of how hard this is. Plenty of water, comfortable shoes and an experienced guide are all musts in this excursion. Lots of determination and a positive group of people around to cheer you along the way are also advisable! This is not a hike for the faint-hearted, but it’s oh so worthy once you finish. The moment you lay eyes on the imposing Volcan de Fuego, you’ll forget about any pain you’ve endured to get there. After all the hard work, we were rewarded with privileged views of lava and ash going up in the air, which lasted all night long and well into the morning, when it was time to head back. Never before had we seen an active volcano, and this is certainly an experience we will never forget. Climbing Acatenango was challenging, yes, but even after all the pain we can only smile thinking about the whole thing now. Contributed by Ruben Arribas from Gamin Traveler (Find their blog on Facebook). Those who travel to South America always include Panama and Colombia to their itinerary. Both countries are surrounded by spectacular natural beauty and have diverse and colorful cultures. Panama is a surfing paradise while Colombia is a mountainous adventure land. Traveling to either of these countries is already a bucket-list-worthy experience. But do you wanna know what made my travels there unique? For 5 nights, I spent the night sailing and sleeping in a sailboat around San Blas Islands while on the way to Colombia from Panama. We also met and interacted with the Guna people (also known as the Kuna Yala), an indigenous tribe in the Caribbean. There were no hotels in the area when I visited and the water was crystal clear. I had so much fun swimming, snorkeling and just immersing myself in a place so far from urban comforts yet so rich in authentic human experiences. If your heart belongs to the sea and you love learning about cultures very different from yours, sailing from Panama to Colombia is something you will enjoy. I would do it again if I could, for sure! Contributed by Steven and Jenny from Tales from the Lens (Find their blog on Facebook). One of the most popular activities in Bolivia is to take a downhill bike ride on a route known as the Death Road. Located between the city of La Paz and the Bolivian Amazon, it has been given the nickname because of the perilous drops of 1,000m from the mountainous roads to the valley below. Oh and this road accepts two-way traffic on a route that is only wide enough for one car. Add in the blind hairpin turns, deep potholes and a tendency for rock and landslides and you can understand why the death toll here was so high. Attracted by the thrill, Steven decided to do the ride to celebrate his 28th birthday. The tour starts at 6 am where a bus takes you up to the highest peak at 4,650m, where you suited up and prepared to cycle down to the town of Coroico at 1,525m. Once, the bikes are set up, the guides take you through a traditional ceremony to calm your nerves and ask mother earth for protection. After that, you are off. First taking the paved road to get used to the bike and then onto the old gravel road. Only 56km of the road is part of the tour. The views from the road allow you to see some of the most beautiful forests in the region, however, on this day a storm was passing through, meaning visibility was low and making the route even more dangerous. During the 5-hour cycle, you experience what it was like for locals to traverse these mountains, as you will need to cycle through rivers, under waterfalls, avoid potholes and the remains of landslides, all the while staying away from the edge and the drop below. In the end, everything was fine, the guides are well-trained mountain bikers and take safety incredibly serious. At any time a rider can stop cycling and jump in the van that follows the tour. These days, cars rarely use the road, as a new motorway has been created but the lure of cycling the death road remains. To read the full story of what to expect when cycling the death road, check out this article on Tales From the Lens. Contributed by Thais Saito from World Trip Diaries (Find their blog on Facebook). One of the things at the top of my bucket list was to see the largest mirror in the world at the Uyuni Salt Flats in Bolivia. Well, I was very lucky because I didn’t know it had a dry season and a wet season. They’re both gorgeous, but the mirror is only seen during the wet season. We visited it in March 2017, at the peak of the wet season, and it was so worth it! We hired a private tour (we’re in six people and we fill up a car anyway) and got picked up at the salt hotel we were staying at and drove to the salt flats. At first, we could see the salt mixed with sand. It was beautiful, yes, but nothing compared to what was yet to come. Little by little, the ground became more and more white. And it started reflecting the sky. And we were there, in heaven. It was clouds under and above us, and all we could see was the blue skies and its white fluffy clouds. The floor wasn’t soft, it was rather harsh and it hurt. The salt crystals had incredible geometric forms and they were pointy. Having lunch there, in the middle of the desert, surrounded by nothing but the sky, nothing and nobody around us, was amazing. It was worth all the altitude sickness, the roadblocks, the train, and the buses we needed to get there. Just the best experience in the world! Contributed by Travels With Talek (Check her out on Facebook). When I was around 6 years old I asked a relative where he was going. “To the end of the world,” he said. I thought that was a real place and I became fascinated with it; what was it like, what did people eat there, was it cold? I remember how excited I became at the thought of going there and determined someday I would. This year I traveled to the Argentine and Chilean Patagonia. I navigated the Straits of Magellan and the Beagle Channel and circumnavigated Cape Horn. I also visited Ushuaia, Argentina, the southernmost town on earth. Ushuaia really capitalizes on its unique geographic position. There you will find the Hotel at the End of the World and the Train at the End of the World and other of southernmost examples. We took a cruise to navigate the waterways and sailed through canyons of icebergs toppling down into the icy water. Witnessing the calving of an iceberg when a piece splits from the main berg and crashes into the water with a thunderous sound is an amazing experience. We learned about the history of the Yamana people that populated the region and their customs and culture. The local wildlife was especially interesting; llama-like guanacos, Magellan Penguins, and dolphins cavorting beside our vessel. It took a few decades, but I finally made it to the end of the world and found out what it was like. It was even better than I imagined! Contributed by Thea Wingert from Zen Travellers (Find her on Instagram). As it’s very difficult to get good underwater pictures in the deep, dark waters of the Galapagos, so here is a picture of Kicker Rock. Few destinations inspire as much awe and wanderlust as the Galapagos Islands. This far-flung enchanting archipelago rests over 600km off Ecuador’s Pacific Coast and remains a world apart. The islands feature otherworldly landscapes carved out by thousands of years of volcanic activity, and a tremendous diversity of unique plants and wildlife. By far, my favorite part of visiting the islands was getting up close and personal with some of the amazing local wildlife both on land and under the sea. While the slow-moving giant tortoises are charming in their own way, and the silly blue-footed boobies are delightful when they dance to show off their bright blue feet, it was diving with hammerhead sharks that were a dream come true. These incredible creatures swarm close to rock formations to feed and divers can get a good look at them if they’re so lucky. We had such luck when we dove at Kicker Rock off the coast of San Cristobal Island. We hung onto rocks to avoid being swept away from the current and waited for the swarms to come to us. Our patience paid off and a group of about 15 hammerheads soon came to feed only 5 meters away from us! Not only did we see hammerheads during this dive, we also swam by endemic Galapagos sharks and beautiful black-tipped sharks. While there is so much to see and do in the Galapagos Islands, diving with 3 kinds of sharks was by far the highlight. Contributed by Linda from Travel Tyrol (Find her blog on Facebook). Riding a cable car to the top of a mountain is easy. Getting there on your own two feet is a bit more challenging. However, standing on a summit in the Austrian Alps after a 2-hour hike is rewarding in many ways. Hiking to the summit of the Glungezer mountain in the Tyrol, Austria was on our bucket list for a long time. It took some time to tick it off while we waited for our son to grow big enough to enjoy the adventure with us. We knew the wait was worth it when we finally stood together as a family at the summit cross. The Glungezer mountain peak (called the Glungezer Gipfel in German) lies at an altitude of 2,677 m. Hikers are rewarded with sweeping views over the Inn Valley to the east and west with rugged mountain tops as far as you can see to the south. We started our hike at the Tulfeinalm, a mountain hut restaurant below the summit. It’s possible to get to this point via chairlift or by hiking the popular Zirbenweg trail from the neighboring Patscherkofel mountain. From the Tulfeinalm it’s a 1,5 to 2-hour hike to the Glungezer summit. You can also expect to see cows and Alpine marmots (or hear them whistle at least). Something to look forward to after standing on the summit is to have a cold drink and a hearty meal at the Glungezer Hut perched on the rocks below. The best time to hike to the Glungezer is between June and September. Contributed by Rashmi & Chalukya from Go Beyond Bounds (Find their blog on Facebook). Switzerland is one of the most beautiful countries in the world. The country has some of the breathtaking locations which looks like they have been taken out of a fairytale book. Visiting Switzerland was on our bucket list. And on the top of the bucket list was a scenic train ride through the surreal locations of Switzerland. We were based in Geneva and the route from Geneva to Bern or Interlaken (where most of the top Swiss attractions are located) is dotted with breathtaking scenic vistas. Meadows with cows grazing, the shimmering Lake Geneva and the snow-capped mountains, the vineyards, small charming villages with chalets, you’ll not be able to take your eyes off the window. While every train ride in Switzerland is scenic there is a specific train which takes you through the most beautiful locations in Switzerland – the Golden Pass Train. The train runs between Montreux and Lucern via Interlaken. There are two kinds of trains running on this route – panoramic and Classic. While Panoramic trains have huge windows to offer a panoramic view of the vistas, the classic trains have a vintage feeling in the interior. Both are unique experiences. Read the full post on places to visit in Switzerland in their blog Go Beyond Bounds. Contributed by Alex from Swedish Nomad (Find his blog on Facebook). Cinque Terre is one of the most popular places to visit in Italy, and Europe for that matter as well. Hiking the Cinque Terre ( which basically means five lands) is something everyone should put on their bucket list. The scenic views, idyllic towns, and wonderful walking trails are very unique. The views of Manarola and Vernazza are fantastic and becomes a reward after a short hike along the trails. The other reason why I love Cinque Terre is the fact that you can still get the local experience. You can visit the shops, pizzerias, restaurants, and bars who serve local specialties at reasonable prices. A lot of places in the world lose their charm when tourists arrive, but not in Cinque Terre. This place has been on my bucket list ever since I saw a photo of it 3 years ago. Therefore I decided to stick around for a few days and hike between all of the villages instead of just taking the train. Contributed by Natasha from The World Pursuit (Find her blog on Facebook). My favorite bucket list experience in Europe would definitely have to be driving Iceland’s epic ring road. In order to experience the most of Iceland, make sure to drive the ring road as it is an unforgettable adventure. If you’re wondering what the ring road is, it’s exactly what it sounds like – a ring around Iceland! The road covers around 1,300 kilometers and circumnavigates the whole country in a ring. The whole route should take about 16 hours if you drive non-stop. But who would do that? You’ll want to stop and enjoy the many epic waterfalls, volcanoes, geothermal hot springs glaciers, and a few Icelandic horses as well. The best time to drive the ring road is from April to October as this provides the best weather in Iceland. We recommend renting a car or campervan to get you through the trip! It’s an experience that will stay with you for a long time! Contributed by Jurga from Full Suitcase (Find her blog on Facebook). Dog sledding has been on my bucket list for a very long time. Last winter I finally got to experience husky sledding in Tromso, Norway. And it was so much more fun than I could have ever imagined. The beautiful winter scenery surrounded by snow-capped mountains in Northern Norway just made the whole experience even more special. First, if you are worried about the well-being of the dogs, all your doubts will disappear when you see how well they are treated and how enthusiastic they are to start the ride. Huskies love it, and so will you. For the most special experience, I recommend that you book a self-drive husky sledding tour. Sitting on the sled is fun too, but driving it gives you a completely different experience. Again, no worries if you have never done it before – it’s easy enough and you get a short introduction tour. Furthermore, the dogs are really well trained, so they do most of the job for you. I expected just a short ride, but or husky sledding took much longer than an hour. It was one of the best winter experiences ever – enjoying the beautiful landscapes in such a unique way. If you ever get a chance to try dog sledding, don’t hesitate. It’s an experience you’ll never forget. I decided I wanted a picture of me standing on top of Kjeragbolten the moment I saw an epic shot of it on Instagram. I started to do some research about a trip to Norway and soon I was at the airport ready to cross off a bucket list moment from my list. The hike to the rock is beautiful. It goes through lots of different scenery and terrain. In many places, there are chains helping the hiker’s way up the trail. Good hiking boots are essential on this hike. You will find many streams, that are safe to drink from, so they are perfect to refill your water bottle, saving you carrying too much weight. After about 2,5-3 hours of hiking, you will reach the top. Standing on Kjeragbolten was the scariest experience in my life. It felt amazing doing it, and I am very proud of myself every time I look at the photo of me standing 1000 m above Lysefjorden on the rock. However, if you are even a bit uncertain or you suffer from vertigo I suggest you should not risk your life for a picture. The 12 km round trip Kjerag hike itself is worth the effort as it has spectacular scenery along the way. Contributed by Campbell & Alya from Stingy Nomads (Find their blog on Facebook). My husband and I are hiking enthusiasts. We heard a lot about Camino de Santiago – a famous pilgrimage route through Spain and Portugal. Not surprisingly it made it to our must walk bucket list. In the last two years we thought a lot about completing it and finally this year May we boarded this adventure. There are several routes of Camino de Santiago. All start in different places in Spain, Portugal, and France and finish in Santiago de Compostela. We chose the Portuguese Camino from Porto to Santiago. May is a great time to walk this route – it’s already nice and warm but not too hot, plus it’s still far from the peak season. The total distance of this Camino is 240 km, we walked it in less than two weeks. Walking the Camino is probably one of the most budget ways of traveling Europe. And also a great way to see some beautiful and off the beaten track places. There is good infrastructure for pilgrims on the Camino; albergues (hostels where only pilgrims are allowed to stay) are cheap – only 5 or 6 Euro per person. And most of them have a kitchen where you can cook your own food. The route is marked very well and easy to follow. There are local restaurants and cafes on the way where you can stop for coffee or lunch and rest. We were surprised how many people walk the Camino every year. And for many, it’s a bucket list experience. Camino de Santiago is a great way to explore a country, meet new people and experience slow travel. Contributed by Roxanna from Gypsy with a Day Job (Find her on Facebook). From the first time I saw the Giants Causeway on television as a child, I was compelled to go there and climb across the stones. I had no idea about the geologic composition of the basalt columns or the forces that had formed them. I only knew that the place seemed gorgeous and magical to me, and it called me. It would be my 50th birthday when I would finally be able to visit Giants Causeway. By then, I understood the science of the Causeway and was familiar with its mythology. As we finally approached, I felt like a child, filled with anticipation. It was a day of bright blue skies, with cumulus clouds in the distance, the North Sea reflecting a brilliant blue. As we came around the ridge, down the path, I realized that the walls alongside me were actually basalt columns, standing 10 times my height. My intrigue bubbled up, and within minutes we were climbing the columns along the side. We spent the next couple hours maneuvering the pillars, exploring from every possible vantage. The structure looks very different from one side to the other, from the top to the bottom. In those moments, I was very aware that I was fulfilling a lifelong dream, and it was what I had always hoped it would be. Giants Causeway is actually much smaller than I imagined, but no less incredible and beautiful. I felt quite fulfilled. Contributed by Alma from Roaming Fox (Find her on Instagram). I climbed aboard the canal boat. It was narrower than I had pictured in my mind. The external width was 2 meters, but internally there was only a meter and a half to play with. Walking down the narrow passages past the bathrooms and bunks where we would be sleeping, was a tight squeeze. Our luggage left huge puddles on the floor. I had images of walking from lock to lock through mud, winding slippery windlasses. The sun had emerged when we left Bradford-on-Avon and headed towards Bristol. We had a few stops in between, exploring Bath, lunched at various pubs such as the one in Claverton and The Old Lock & Weir Ale and Cider house at Hanham. At times we had to go through six locks in succession which was fun but tiring. It was entertaining chatting to other people on their canal boats of all shapes and sizes that passed us along the way. We were thankful we didn’t have enough time to go through the locks at Devizes. It would have been exhausting to go through all 29 of them, with nowhere to stop and have a rest. We also had to move swing bridges that were too low to pass under. Most of the time it was quite peaceful drifting down the canal unless you had to maneuver the long boat around a 90-degree bend. It could be quite tricky with a huge possibility of getting wedged in with both ends of the boat stuck on either side of the canal. Glad I had the opportunity to tick off a canal boat trip from my bucket list. If you love to cycle, one of the best places you can visit is Bourg Saint Maurice in the heart of the French Alps. This attractive town is a great place to base yourself in order to take on some of the world’s most famous cycling roads. The Tour de France is a regular visitor; you’ll be following in the path of the pros. The most famous climb in the area is the Col de l’Iseran. At 47km and 2,764m above sea level, it’s France’s longest climb and Europe’s highest mountain pass. From Val d’Isere, the last 17km take you through Alpine meadows to the thin air at the summit. Unlike other famous passes, there’s little in the way of commerce up here. Just blissful far-reaching vistas over snow-capped peaks. There’s enough cycling from Bourg Saint Maurice to keep you busy for a fair few days. Once you’ve conquered the Iseran, try your legs on the picturesque Cormet de Roseland or the easy(ish)-going Col de la Petit Saint Bernard. Alternatively, the Col de la Madeleine and Insta-worthy Lacets de Montvernier are a short drive (or a long day ride) away. If you’re an avid cyclist, this is one part of the world you mustn’t miss. Contributed by Mo from Travelust 101 (Check her blog on Instagram). When you are a professional scuba diver, you get to see some amazing underwater creatures in your lifetime. I have been fortunate to be able to pursue my dream of becoming a scuba diver. Traveling for work, and encountering magnificent marine animals including whale sharks, manta rays, and mola-molas. But there was one animal that had remained on my bucket list of things to see underwater — humpback whales! In August of 2017, I headed to Tonga to fulfill my dream of swimming with the majestic giants of the sea. The Kingdom of Tonga is a Polynesian archipelago of about 170 islands located in South Pacific. Every year from July to October, humpback whales migrate from Antarctica to the tropical waters of Tonga to mate, give birth and nurse their young. I have had some phenomenal experiences around the world but seeing the humpbacks in Tonga was the most magical and awe-inspiring adventure of my life to date. My partner and I spent three wonderful weeks in Tonga. And we were lucky to experience various encounters with the humpbacks. From mother and calf taking a nap just below the surface to massive seven males chasing a female in a heat run. I was overcome with emotions the first time I saw a mother humpback and her baby. It was so beautiful to watch a tiny humpback (although she was about 5 meters!) splash around while the mother kept her distance and watched her baby from afar. I was so moved that tears came down my eyes under my mask! If you are ever so lucky to swim with these gentle giants, you will be left in awe of the magnificence of Mother Nature and all her creations. Swimming with humpback whales was one of those experiences that leave you changed forever. Contributed by Tasha Amy from Backpackers Wanderlust (Find her blog on Instagram). One of the top bucket list experiences I have had while traveling the world in the opportunity to go swimming with turtles in Rarotonga. I had worked volunteering alongside these magnificent creatures previously. Though I never had the chance to swim with them in the wild. Lucky for me, my dreams came true while staying in Rarotonga. The company Ariki Adventures offers swimming with turtles throughout the week. However, the time and dates of these tours depend on the tides and currents of each day. This is to ensure the guests safety as well as increasing the chance to see turtles. Heading out it was a chilly morning, though I met up with our guides and the rest of the eager tourists. We were provided with sea scooters which would assist against the strong currents and help with diving down if needed. We saw so many sea turtles that day that I gave up trying to count them. There were also shark pups and stingrays as well as plenty of fish. Ariki Adventures operate the swimming with turtles tour in one of the many trenches in Rarotonga where these placid animals relax on the coral walls. Though, it’s not safe to venture out by yourself as conditions can change quickly and it’s easy to get pushed against the coral walls. For our group of around 10 people, we had five knowledgeable guides to look after us. I honestly had such an amazing time swimming with turtles. And, I cannot recommend it enough for anyone visiting Rarotonga! Contributed by Cat Smith from Walk My World (Check her out on Facebook). Known as the finest walk in the world, the Milford Track is a bucket list experience for anyone who loves hiking and the outdoors. The walk comes with high expectations as it sells out for the entire year the day that tickets go on sale. Luckily It lives up to each and every one of them. The 53.5km track, walked over four days, takes you through New Zealand’s most famous national park — Fiordland. It’s not known for its weather but this is one of the few tracks in the world where you can actually embrace the rain. As it leads to thousands of newly formed waterfalls cascading down the mountains. You’ll traverse forests dripping in moss that look like a movie set from The Lord of The Rings. And, visit the country’s highest waterfall (that sounds like a jet engine from over a kilometer away). Also, take in awe-inspiring views from the spectacular MacKinnon Pass. If you have energy left you can swim in the crystal-clear rivers, hunt out the twinkling glow worm dell and look up at the milky way. The icing on the cake is finishing at Milford Sound itself, a spectacular fjord and one of New Zealand’s best-loved treasures. Contributed by Marissa from Life As Marissa (Find her blog on Instagram). If you’re an adventure traveler, the Kimberley region in Western Australia should be high on your bucket list. Virtually undisturbed by human activity, the Kimberley is a pristine outback wilderness. Characterized by red rock mesas, crystal clear swimming holes, waterfalls cascading through tall gorge walls, and thousands of miles of untouched coastline. To give you a sense of its scale, the Kimberley is three times the size of England, and roughly equal to the size of California. Its population is about 50,000 people – so, outside of a city, you’ll be hard pressed to find another human. You can explore the region by land, by air, or sea, but taking a land route gives you the most immersive experience by far. I took a two-week trek with Kimberley Wild Expeditions from Broome to Kununurra and back to see as many of the sights as possible. Our main route followed the Gibb River Road, a mostly-unpaved former cattle transport track accessible only by 4x4s. The Gibb provides vehicle access to many of Kimberley’s famous sights including Tunnel Creek cave, Windjana Gorge, Bell Gorge, Manning Gorge, and El Questro Wilderness Park. There’s even a UNESCO World Heritage Site in the region in Purnululu National Park. The sacred, eroded beehive domes of the Bungle Bungle Range form one of the finest examples in the world of a sandstone cone karst landscape. Walking amidst these giant domes is an otherworldly experience. The Kimberley left me awe-struck and wanting to dive deeper into hidden corners I haven’t explored yet. Anyone who has a love of nature and a thirst for adventure absolutely needs to find their way here. Visiting Tanna Volcano in Vanuatu had been on my bucket list since I first heard about it. Imagine standing a few meters away from explosions of lava while staying on a remote island in the Pacific. The sensations are incredible. Never had I felt the power of nature more than that day. In that region of Tanna Island, life is rhythmed by Mount Yasur, the volcano. You can hear it roar days and night. It’s a gem for the local economy. The volcano ashes give them very fertile soil. And as one of the world’s most accessible volcanos, it brings dozens of tourists to their remote region every day. After a 4WD drive, visitors only need to walk a few minutes to get to the top of Mount Yasur. You may wonder how safe it is to be next to an active volcano. Let’s say is not at all as dangerous as it sounds if you follow the rules. Accidents remain rare, and a local guide is in charge of showing the way and reminding tourists about the potential dangers. They monitor the volcano activity closely and limit access to keep people safe when the action increases or if the weather conditions are not suitable. Phew! This is the longest collab post so far in this site, and it’s finally over now! Hope you had as much fun reading this post as I had collating it. What’s your favorite experience from this list? And any EPIC bucket list experience that you ticked off your list? Let me know in the comments below. ** The photographs in this post are not the property of The Roving Heart (unless otherwise specified) and have been provided by the authors in each section. I know right. Putting together this post, added a lot more bucket list ideas to my list as well. Makes me realize I’ve lots to do and so little time! Wow, all these experiences look incredible! I love how there’s such a variation of ideas too from volunteering to skydiving. I love the sound of floating in the dead sea too! I’m sure you will, Ami. Thanks! Wow!! That is like the whole world in one place. Awesome post..
What a phenomenal job on this story. Pulling together so many writers must have a been a challenge, and getting so much variety from so many different continents! Awesome. There are definitely a few that I have now added to my list! Thanks, Roxanna. It indeed wasn’t easy. But now looking at how this shaped up to be, I’m glad I did it. One of my favorite collab posts on this site so far! Wow! The world is such a beautiful place. You are giving me lots of travel ideas. Thank you!